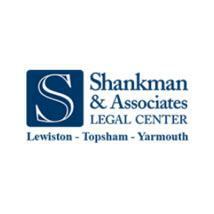 Shankman & Associates in Lewiston, Maine, is the home office of this general practice law firm that handles all types of legal issues from Family Law to Personal Injury to Workers' Compensation. Our two additional locations are in Topsham and Yarmouth, and we serve clients throughout Androscoggin, Cumberland and Sagadahoc counties. Neil Shankman, the founder of our law firm, opened the first legal clinic in the state of Maine in 1981. Its emphasis was on affordability, accessibility and approachability. While Shankman & Associates legal center has grown over the years, that emphasis has never changed. With three partners, two associates and a highly trained staff of paralegals, the people of Shankman & Associates have the knowledge, experience and dedication to serve individuals and small business in need of legal services at an affordable rate. Our law firm offers free initial telephone consultations, during which we identify the nature of their issues that need to be addressed and provide some initial guidance. We accept all major credit cards and have an extensive fee schedule for review by potential clients.